The Bumpass Hell area closure is newsworthy since the park’s through-road is expected to open in time for the Memorial Day weekend. 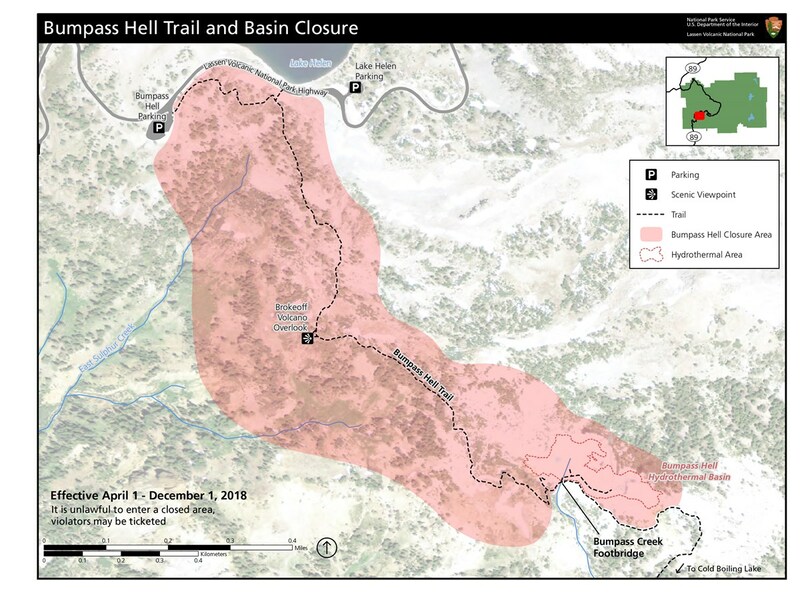 However, the closure itself is “old news” since it has been in the works since at least last October when the ChicoER News reported that the park planned to replace at least part of the boardwalks the run through Bumpass Hell and address safety and maintenance issues along the trail into the area. 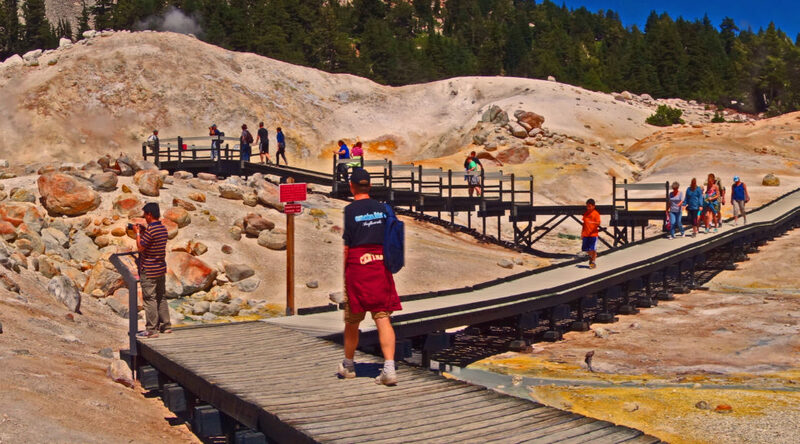 Visitors to Lassen in 2018 will have to get “up close and personal” with fumaroles, boiling pools, mud pots, and the “rotten egg” smell of Sulphur at other hydrothermal locations within the park, or make do with a “virtual visit” to Bumpass Hell via this video.